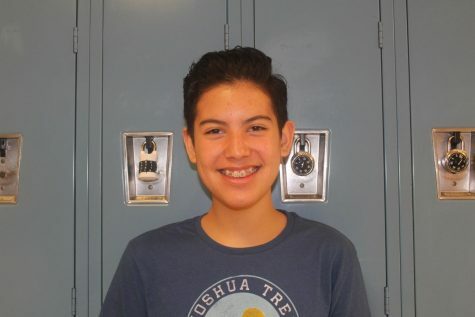 Gabriel is a 13-year-old student at Canyon Vista with a love for anything creative! He enjoys cooking, singing, acting, and graphic design. Gabe prides himself in focusing on quality, over quantity and makes sure everything that he creates is the best it can be. He likes to spend his time doing something productive, eating way too much food, and coming up with new ideas!